Total Run Time: 70 min. The divine Lyda Borelli is the aging Countess d’Oltrevita, who makes a Faustian bargain to regain her youth and beauty. But a deal with the devil always exacts a painful cost and she’s forbidden to ever fall in love again. The primordial diva of the Italian silent era Borelli’s electric presence and distinctive acting style began the cultural phenomenon known as Borellismo, with fans imitating her hair styles, clothes, and gestures. An artistic collaboration of the highest order, Rapsodia Satanica counts on her performance at the center of a film lush with ornate interiors and sumptuous costumes, as well as some very handsome suitors. The real star here however is the film’s color, not only tinted and toned in atmospheric sepias, blues, greens, and golds but also with added stencil-color to selectively highlight crucial details, like a demonic red for Mephistopheles’s cape and a soft pink to contrast with the purity of Borelli’s bridal shroud. Preceded by a sample of beautiful Kinemacolor shorts presented by Cineteca di Bologna director Gian Luca Farinelli from the archive’s prized collection. Rapsodia Satanica runs 43 minutes. The preceding Kinemacolor presentation will be approx. 25 minutes. A chamber ensemble that revives the tradition of silent-film orchestras, Mont Alto Motion Picture Orchestra culls historic libraries of music for its live musical accompaniments. Together, musicians Rodney Sauer, Britt Swenson, David Short, Brian Collins, and Dawn Kramer have recorded and toured widely, creating vibrant, emotional, and historically appropriate scores for more than 125 films. 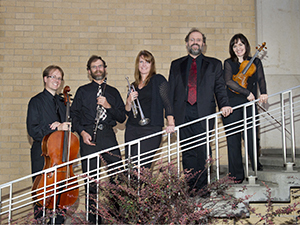 Officially formed in 1994 after discovering the music collection of a 1920s-era theater music director, the ensemble combines precision playing with expert selections to bring silent cinema to life.